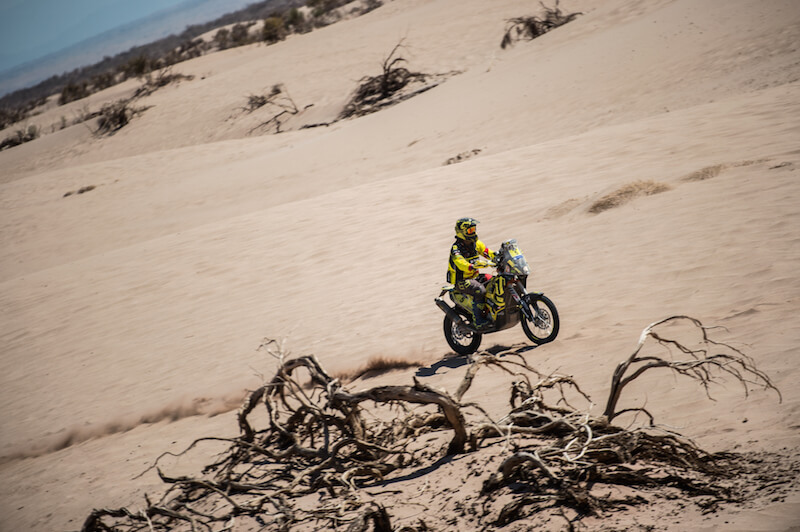 There is not much to get from, but to lose a lot during a very short, 39-kilometre long special stage. 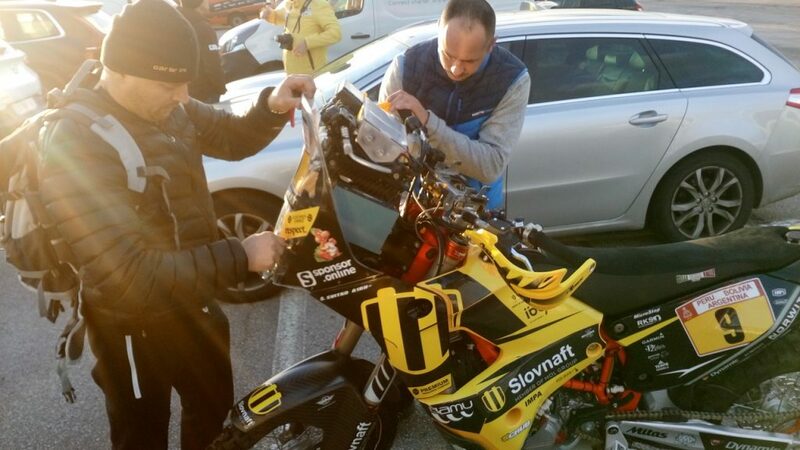 Therefore, Števo went with confidence. 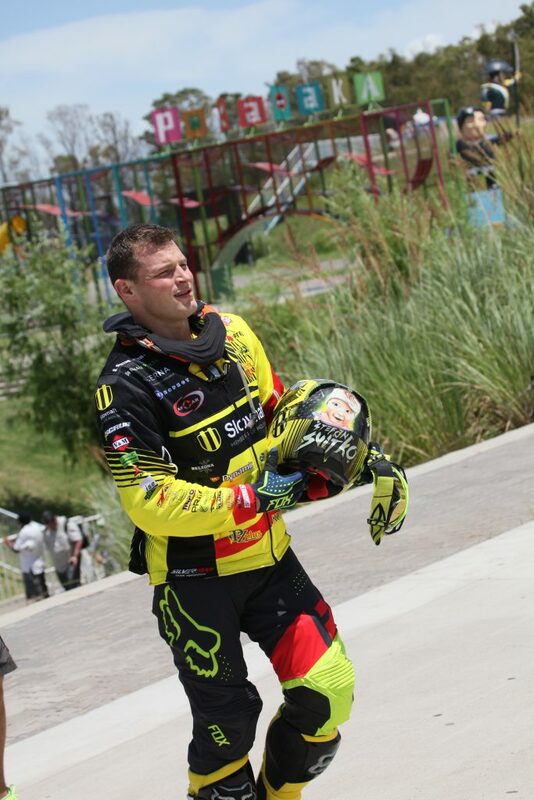 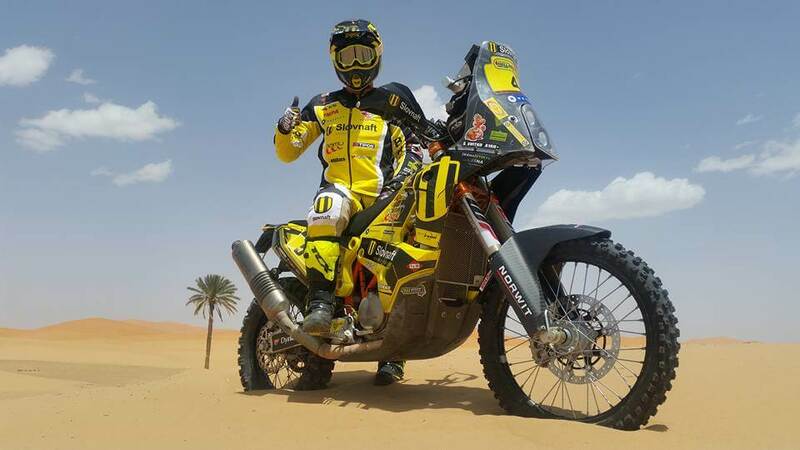 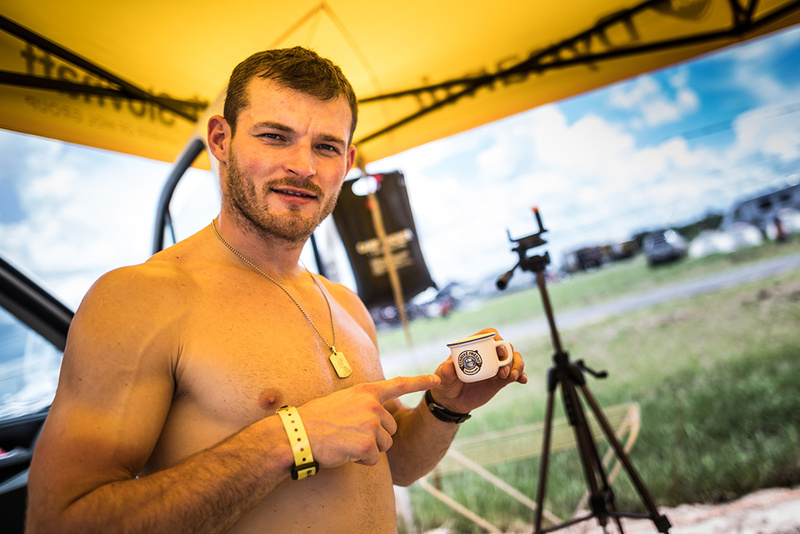 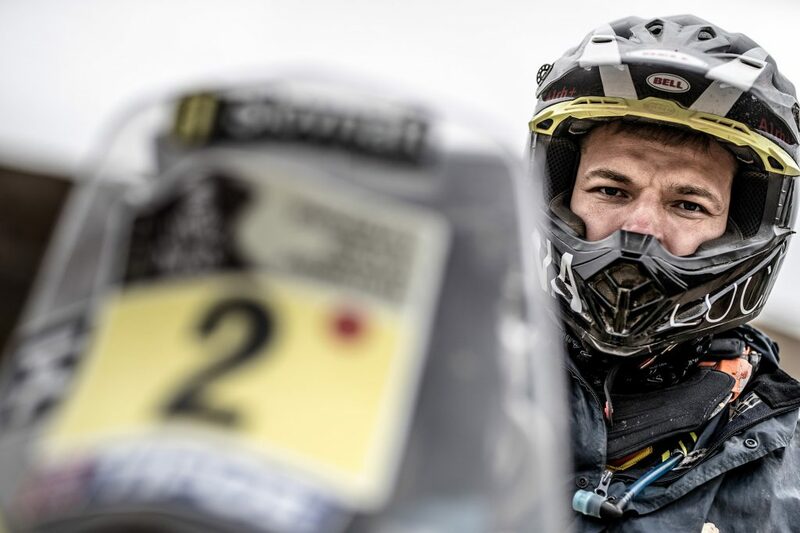 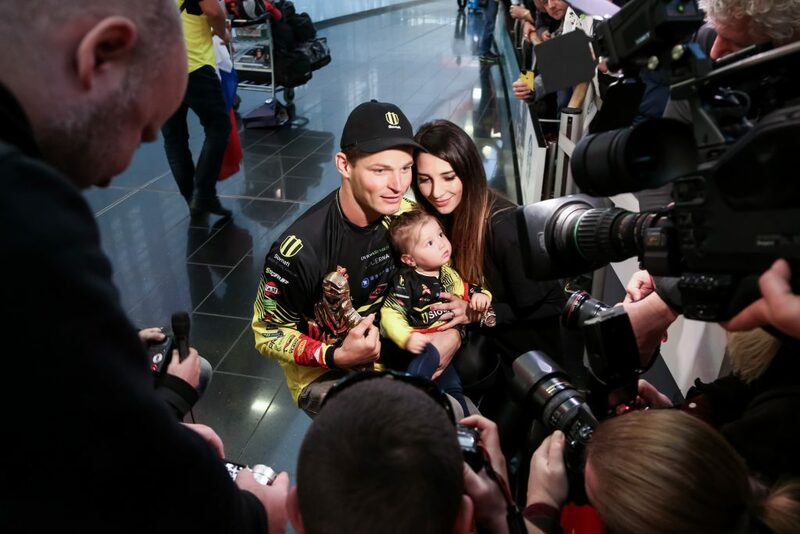 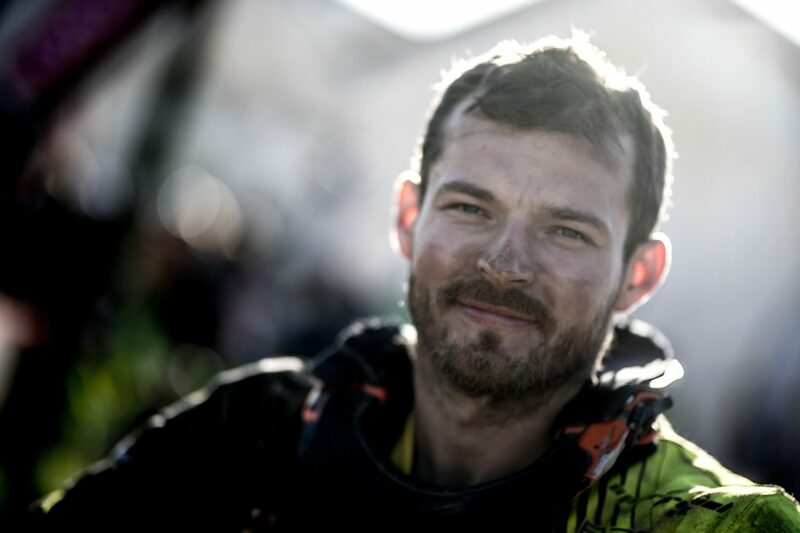 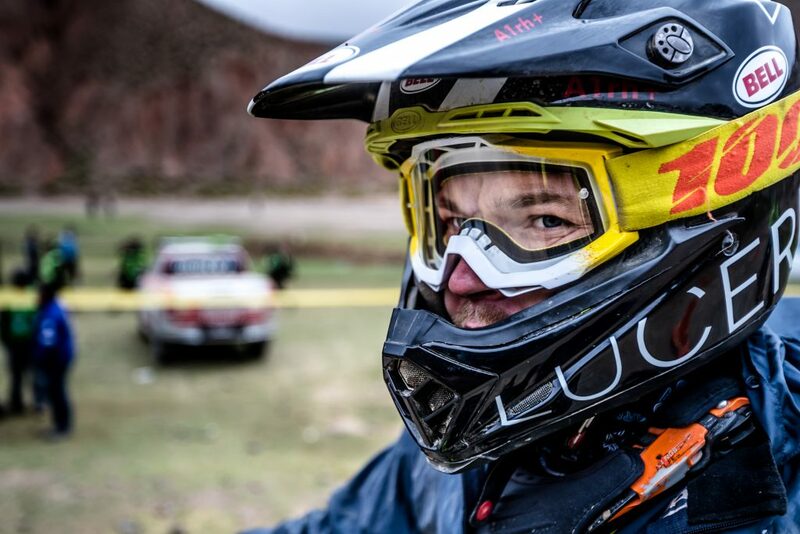 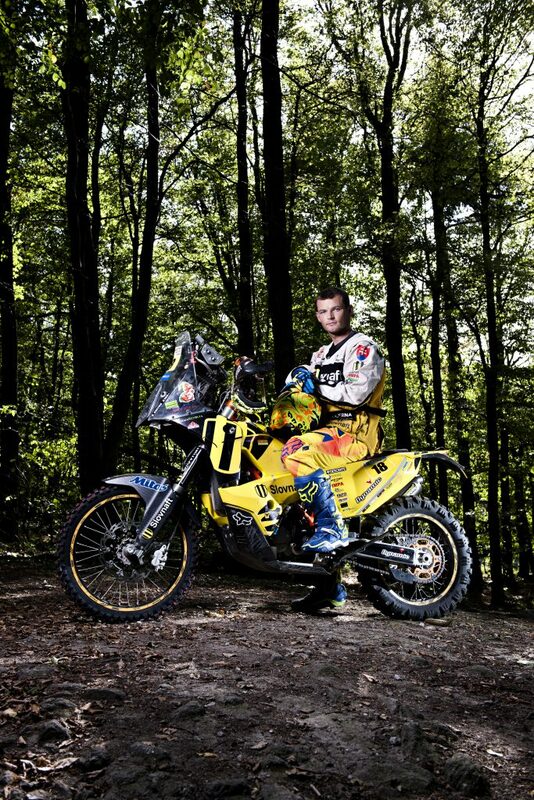 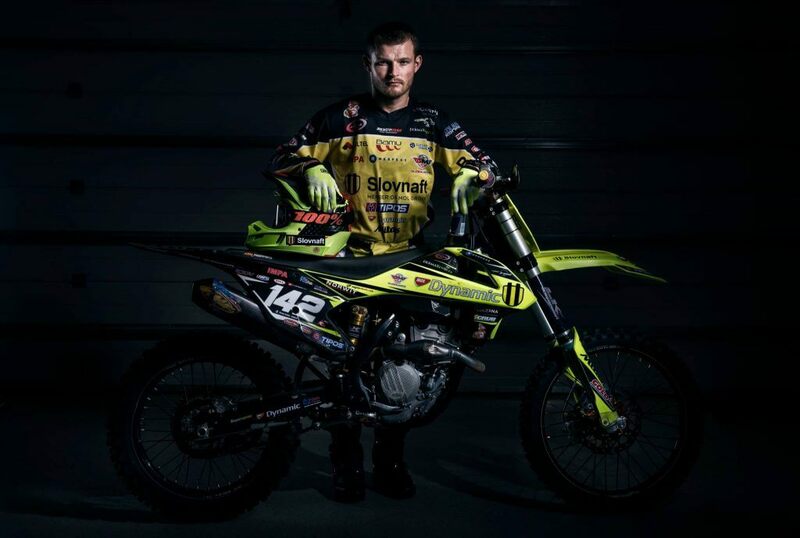 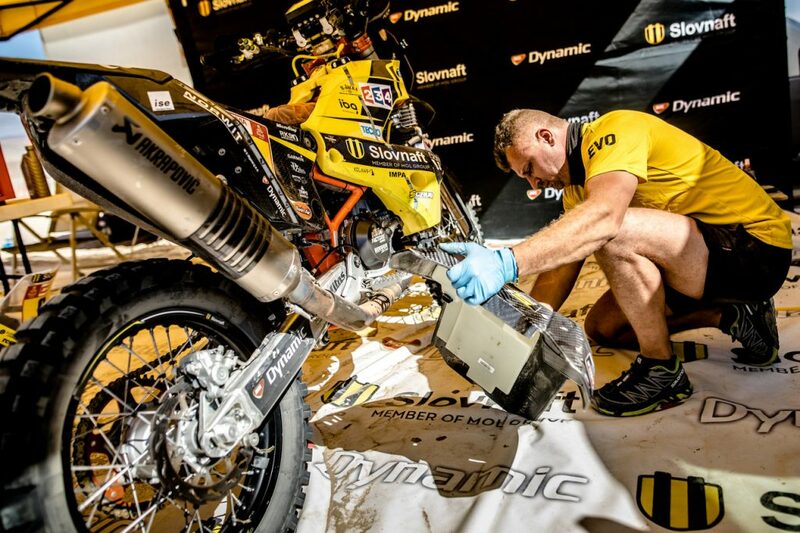 He was even faster than the last year’s Dakar winner – Toby Price. 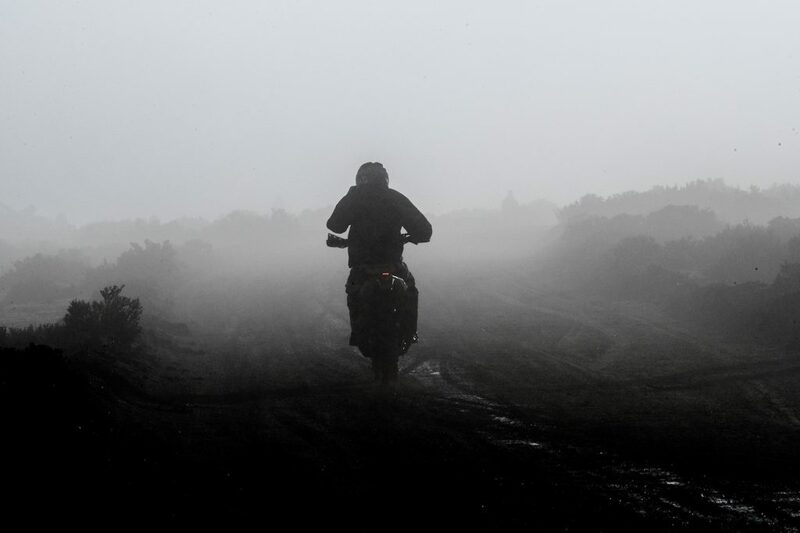 The night before the start, it was raining heavily, and there were many holes filled with water on the track. 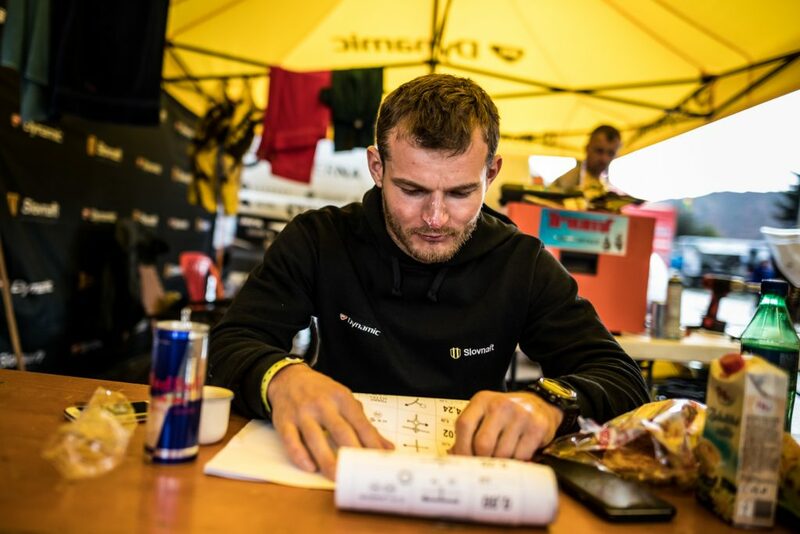 The organizers did not record them in the roadbook, and it was very dangerous. 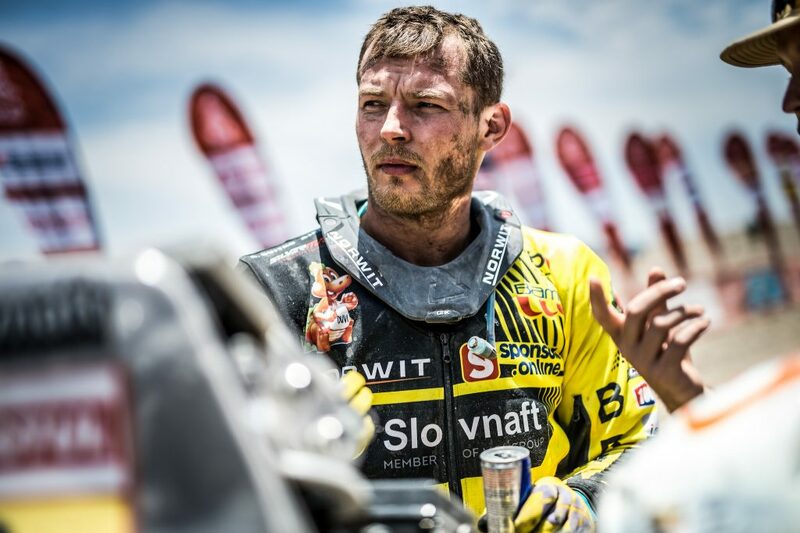 Števo just avoided an awful fall, when he had run into such hardly visible hole. 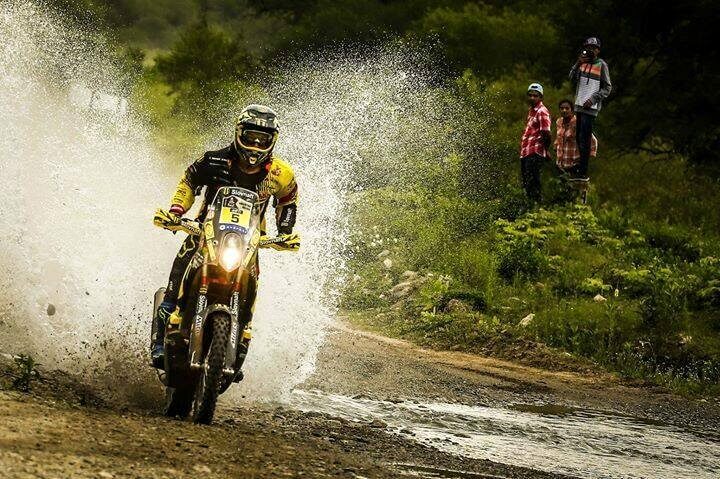 To finish 1 minute and 16 seconds behind the winner is excellent. 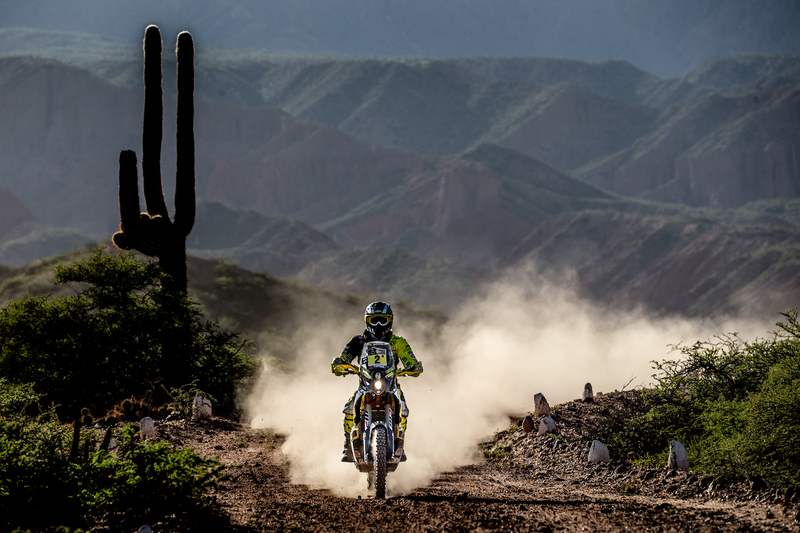 The position in the top 15 is acceptable. 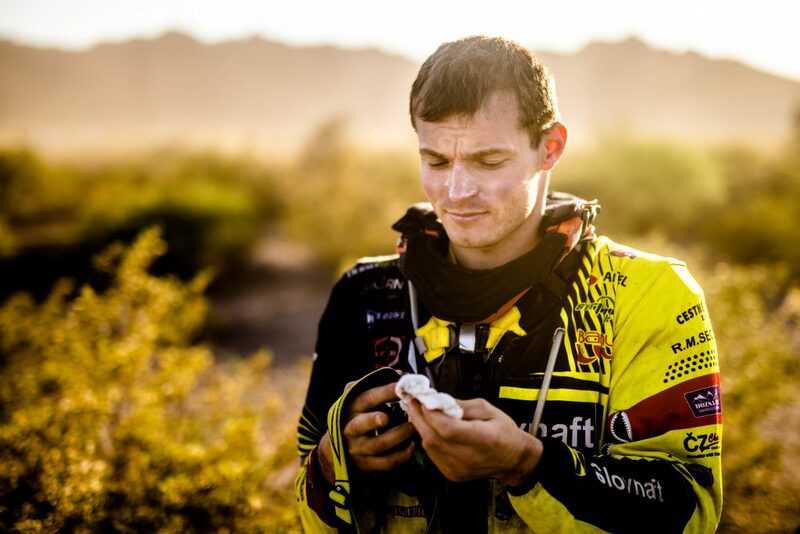 The special stage was long 275 kilometres, and riders had to deal with the very hot weather over 48°C during refuelling. 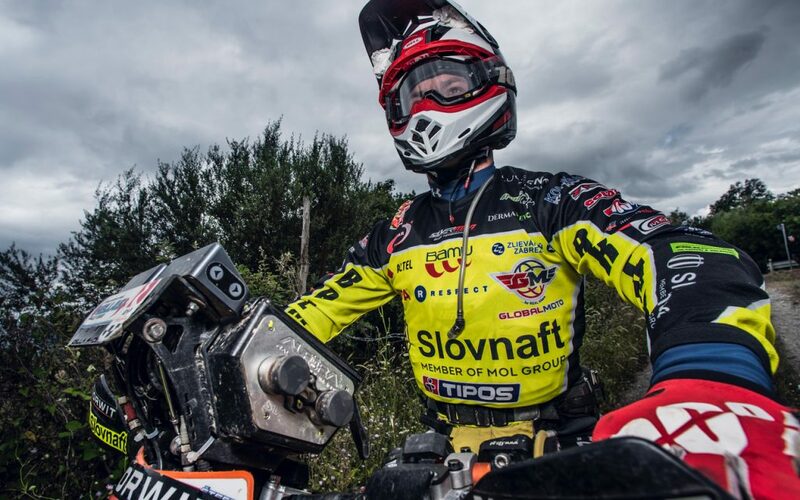 Števo made it without any significant problems, he placed 6th and moved into the 7th position in the overall classification. 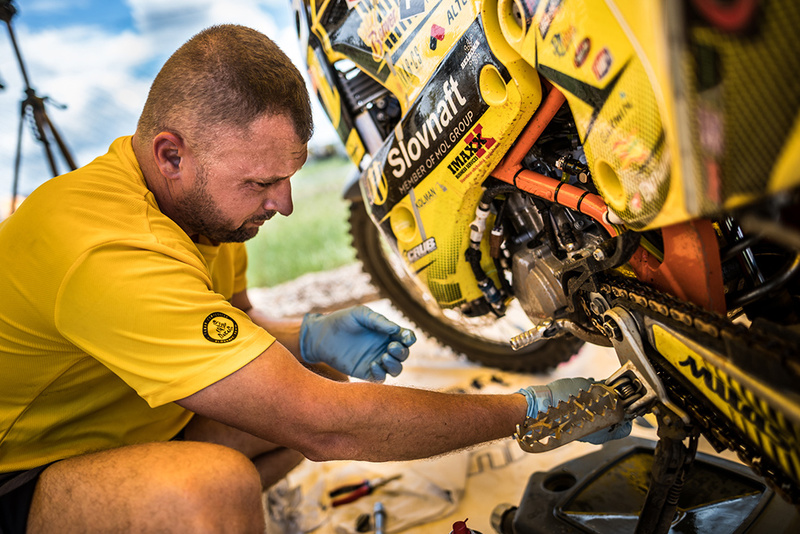 The only issue was the leaking front shock absorbers and a few sparrows, which ended up in the radiator on the front car mask and Števo’s helmet. 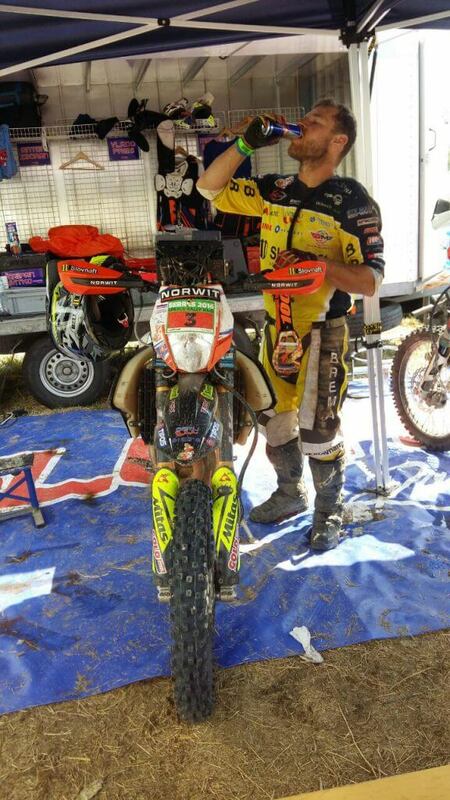 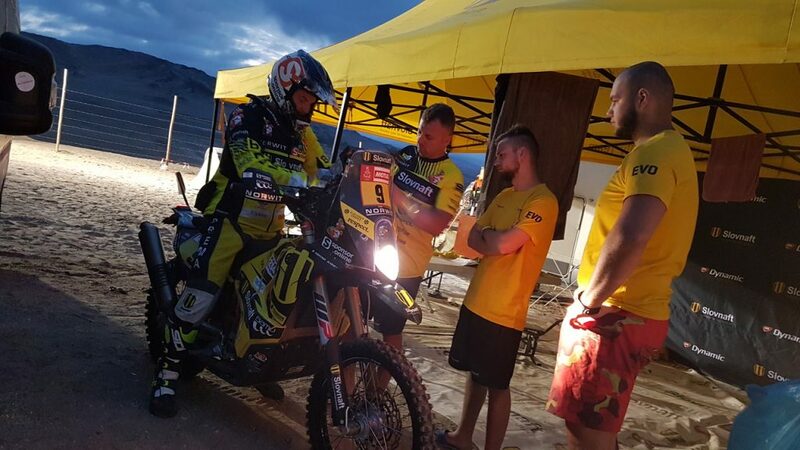 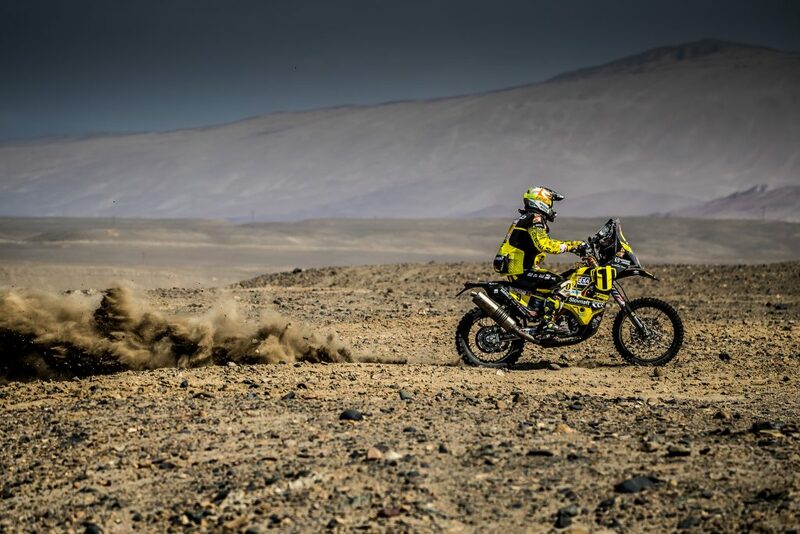 At the beginning of the third stage, the navigation was very tough in the first part of the special track – riders got lost many times. 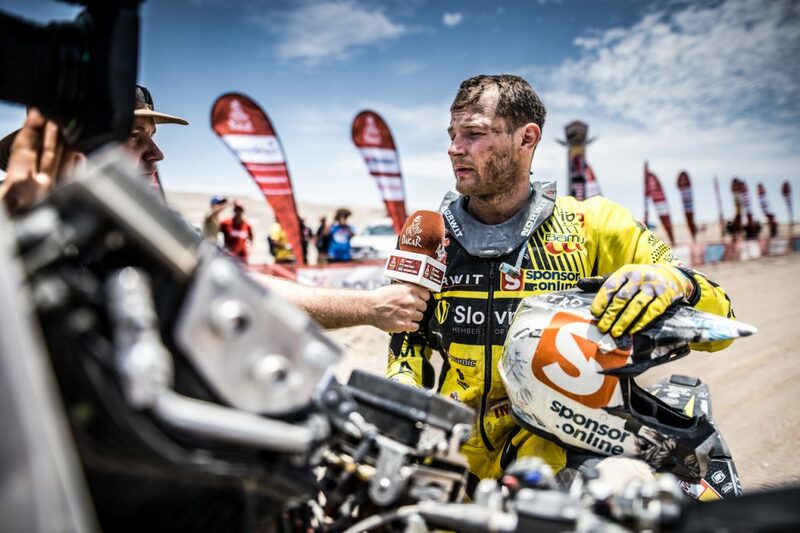 Števo suffered a serious fall in the 59th kilometre, but he is okay – he suffered just a few scratches. 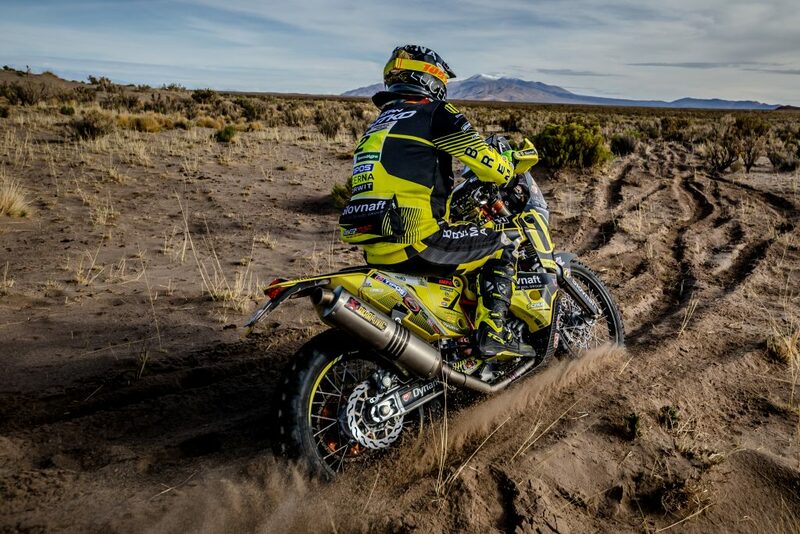 The motorcycle is also alright – only the exhaust pipe is curved. 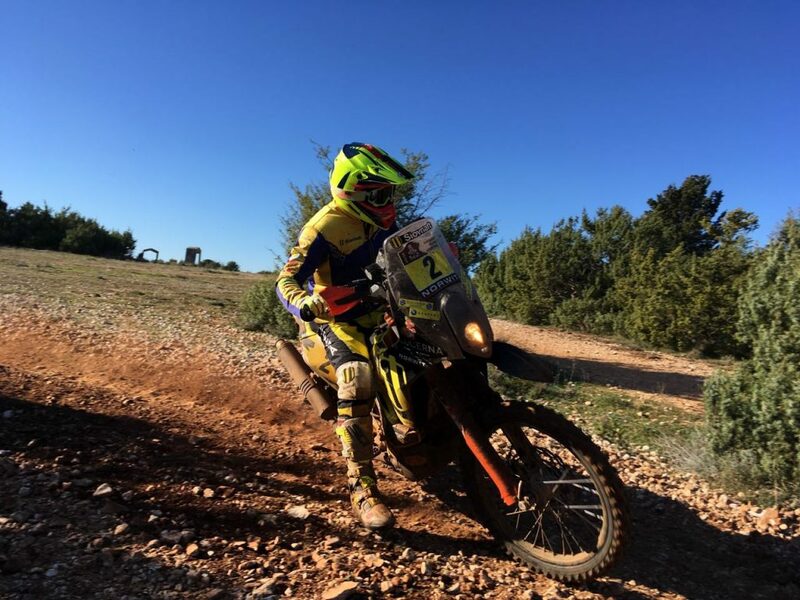 Several riders did not manage to go through the neutralization on that day and come to the start of the second section in time. 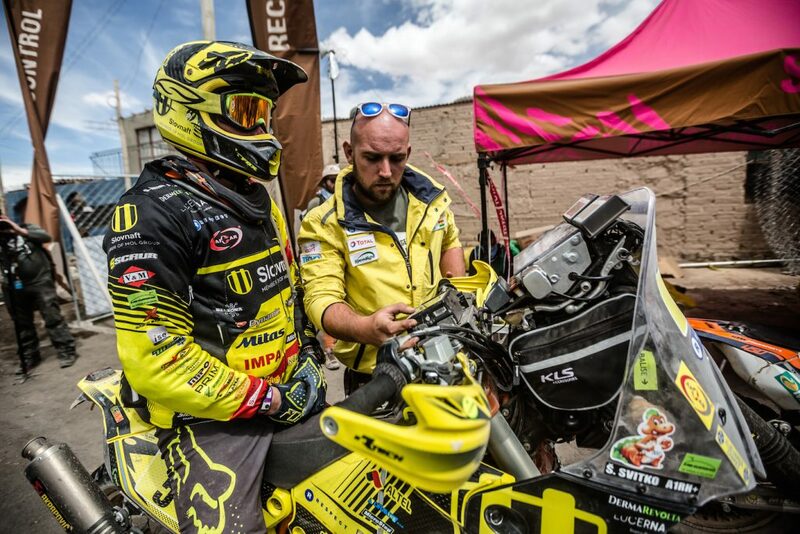 During the second part of the measured special track (after neutralization, which included the passage through the 4,950-metre high mountain massif), riders had to deal with thunderstorms with hail. 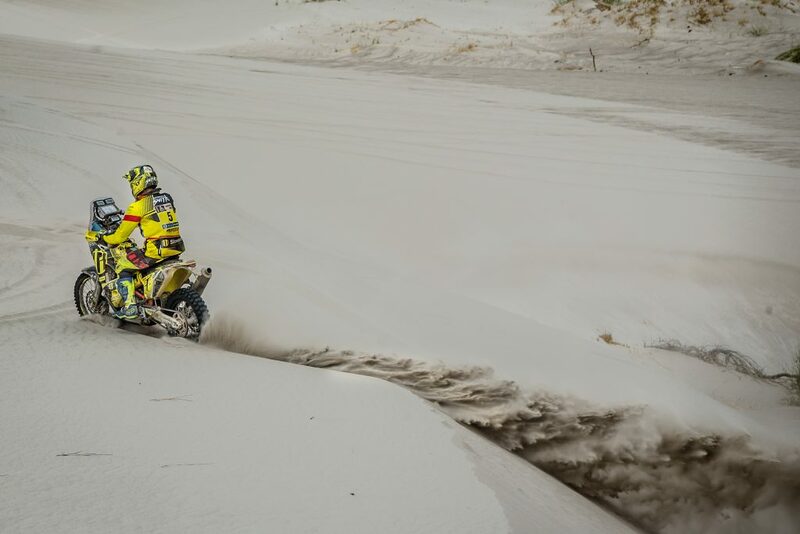 In some places, there was even 4- or 5-centimetre thick layer of hail. 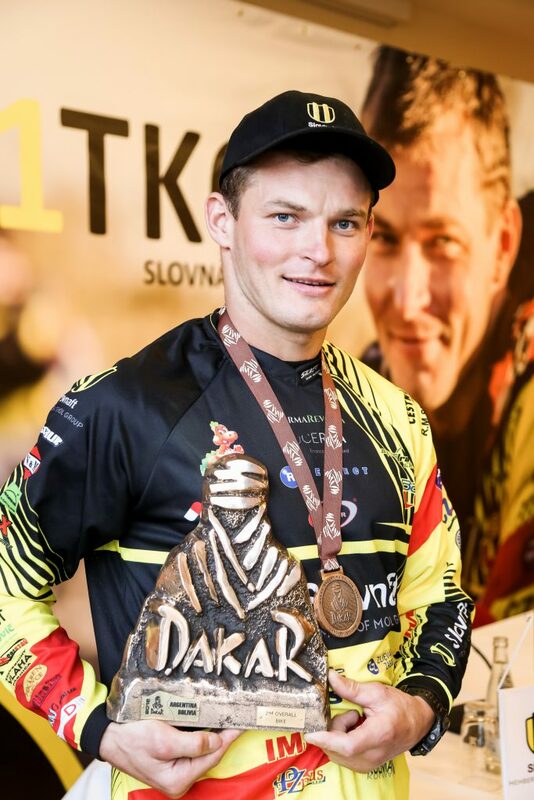 First riders avoided the thunderstorms, but Štefan and the other riders behind him were not so lucky. 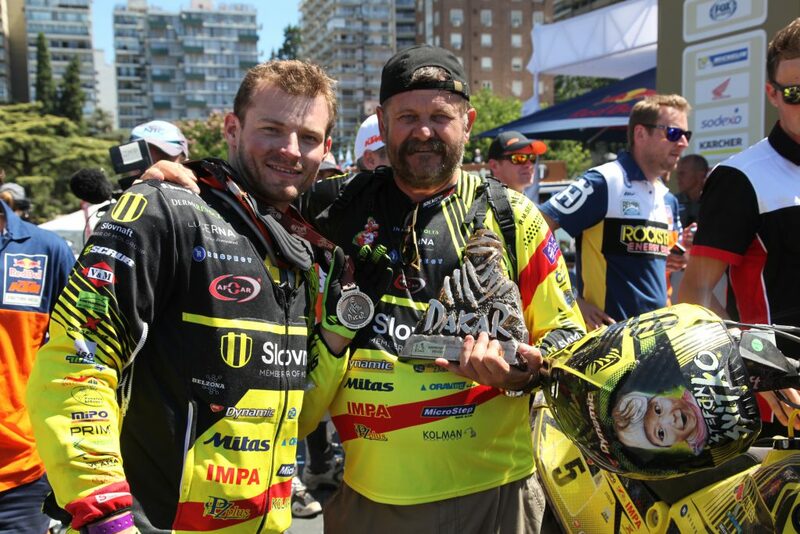 But it’s great that Števo came to the finishing line all right, even with the loss of time. 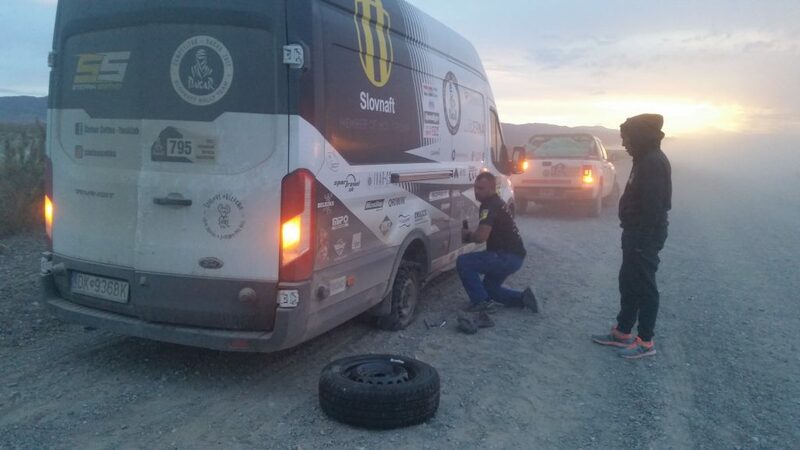 Besides, the front shock absorbers were again leaking, and the drive was very tiring and exhausting. 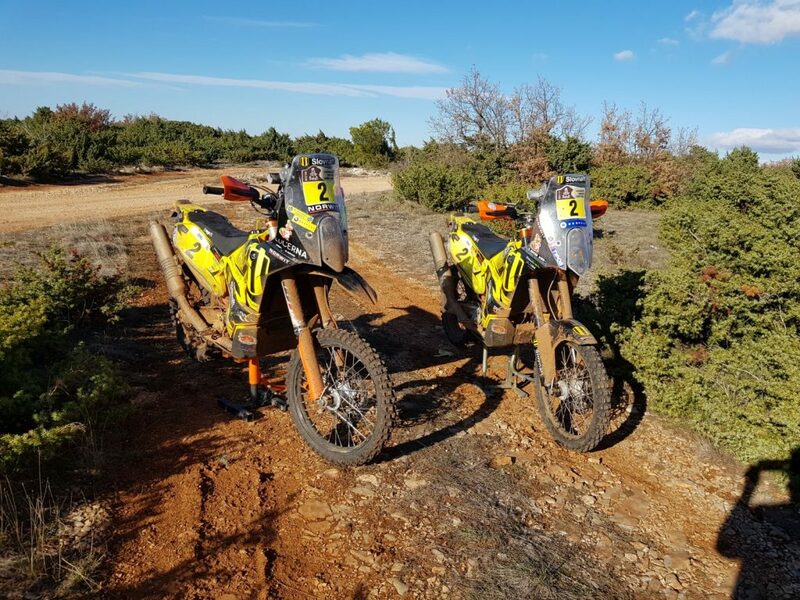 So the result – the twelfth place in this stage and the ninth place in the overall standings – is excellent.